Based on the ever popular Killara, these bamboo pens are the Eco choice! 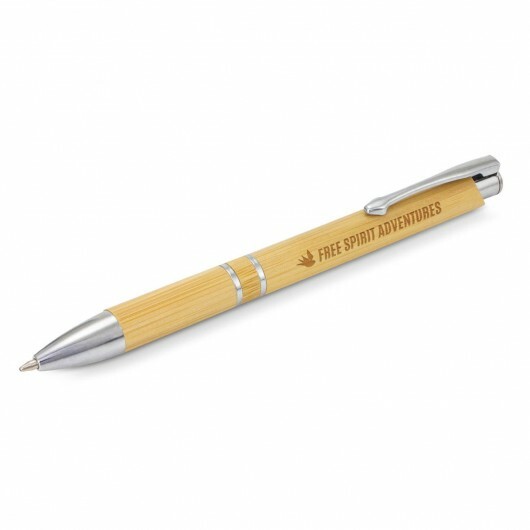 With influence from our best selling metal pen - the bamboo counterpart also showcases an Eco friendly message. They have shiny chrome accents with a black ink refill of 500m. 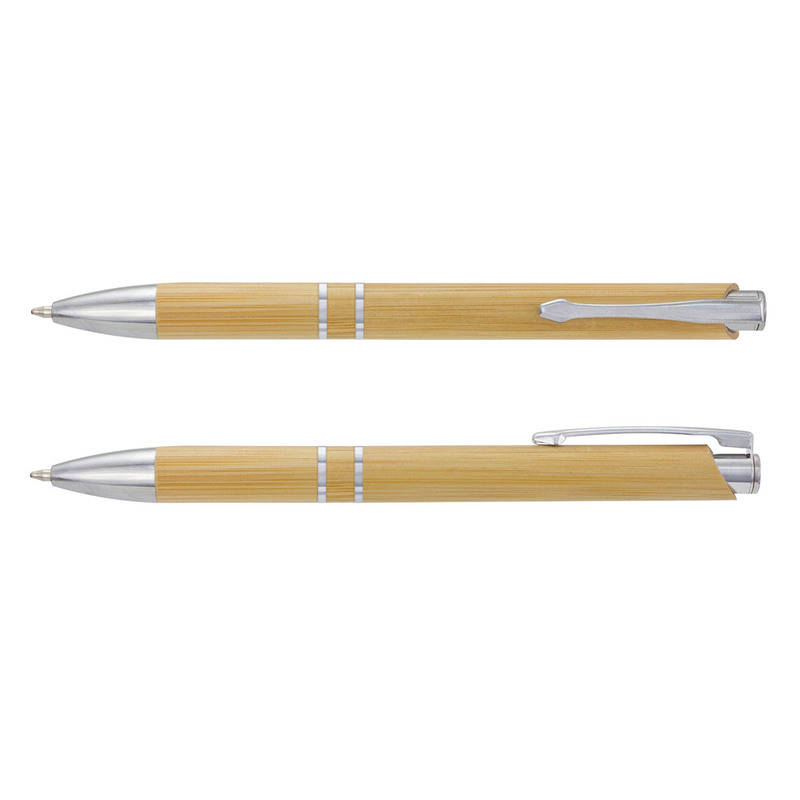 They engrave to a natural etch and can be presented in an optional gift box or sleeve (additional cost). Please note wood is a natural material which produces unavoidable variances.